Remember to celebrate milestones! 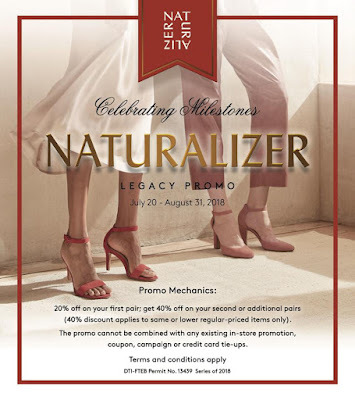 Check out Florsheim and Naturalizer Legacy Promo, and get 20% off on your first pair, 40% off when you buy two or more pairs. 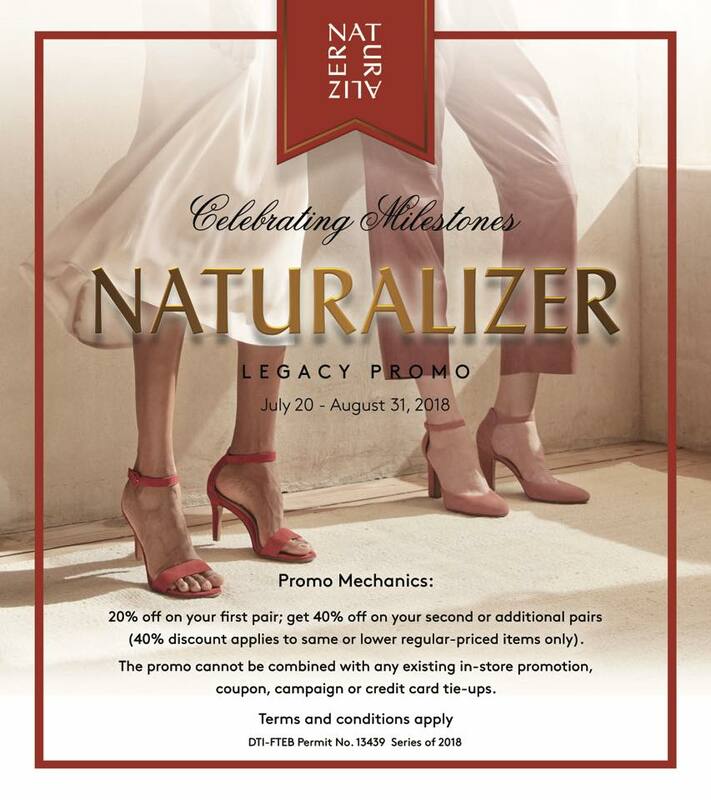 (40% discount applies to the lower-priced items). 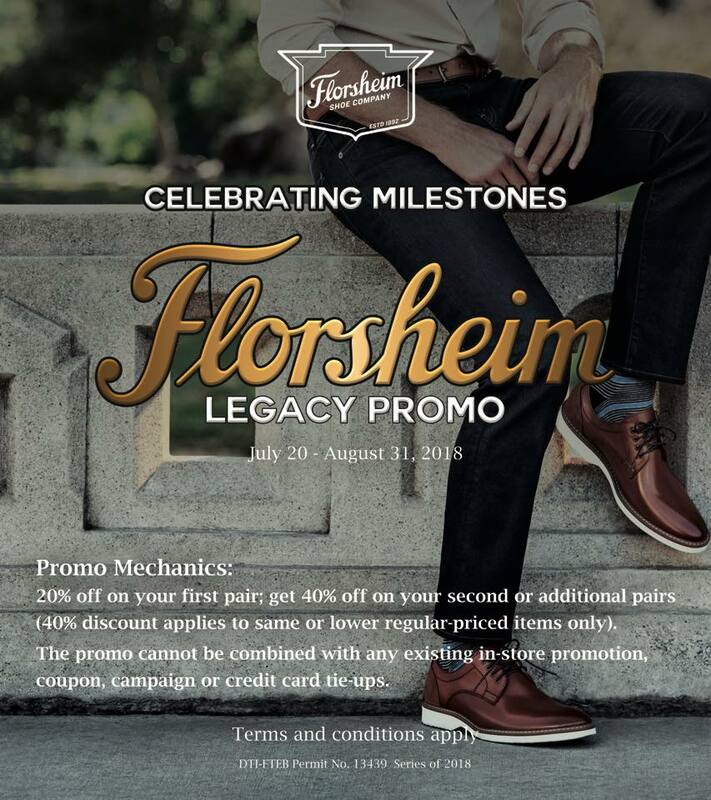 Promo runs until August 31, 2018.